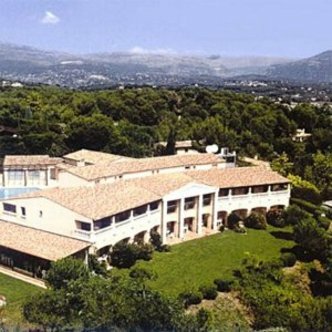 The Best Western Castel Provence is located in on the French Riviera, near Cannes, Antibes, Sophia Antipolis, Nice and Grasse. We are uniquely located near 8 famous golf courses and only 10 kilometers from the beaches and casinos. For those who love to ski, skiing is only 45 miles north of us. Our hotel has many features such as a lounge, outdoor pool, sauna and sun bed, tennis for your enjoyment, 24-hour security, foreign currency exchange, cold weather hook-ups and much more. Our rooms feature cable television, dataports, coffee maker, iron and ironing board, mini-bar, 24-hour room service and non-smoking rooms are available.